Feel that sunshine seeping into your bones? You’re alive again. Winter and hibernation are over; it’s time to run through the fields like Maria in The Sound of Music. Limitless dreaming collides with physical reality as endless new unimaginable worlds are discovered, melting away any former hypotheses defining pleasure or beauty. Exploration. Adventure. This is Krakow in summer. Landscapes so storybook that you’ll sink into a surrealist trance. Music infuses the air with melting vibration, cycling paths yawn, chalky cliff faces luminous, rock climbers like ants. Bourgeois feasting in forest soaked cottages, kielbasa fat spluttering the flames of the bonfire. 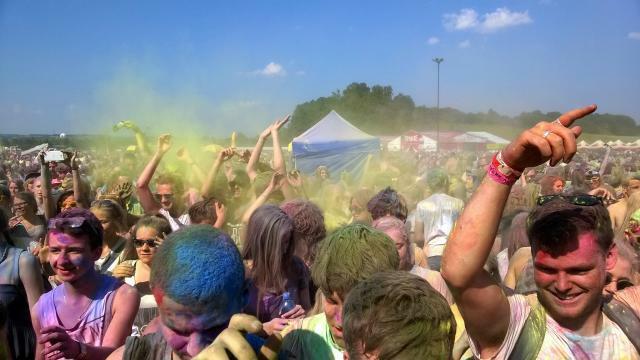 The hot ocean of festival crowds emanating life, basslines dance the entranced masses as ripples of energy. The lucid flow of a dusky red squirrel tail, blurred by a superimposed forest of languorous eyelashes, prostrate amongst a picnic blanket sprawl. Now is the time to indulge yourself in a well-deserved, well-lived sun-soaked and effervescent Malopolskan summer. Straight off the mark; we just need, need, need to introduce you to the Eataway crew. The pinnacle of your Cracovian summer-time memories, the ones you will forever replay in your mind, will most likely be those of sharing an Eataway meal. Join the community adventure for a golden ticket to those forest feasts we mentioned, as well as the daily opportunity to relish in lovingly home cooked (with professional flair) meals full of international indulgence (Indian, Korean, Italian, Moroccan, American, Polish and more) at a variety of locations across not only the city but the world. As the weather warms, the Eataway folk only become more inspired in their lavish but cosy affairs. Think fascinating conversation with unexpected and unique people, think communal connectedness, think open hearts, open minds and long tables full of love. 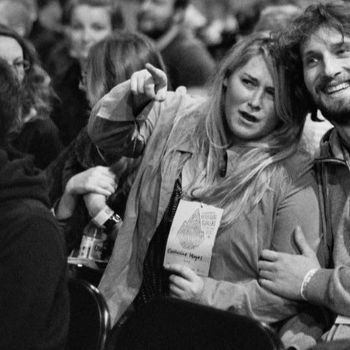 These guys are fast gaining a reputation for creating a whole new spellbinding scene filled with captivating food, rollicking laughter and sensational entertainment; attracting the most intrinsically absorbing personalities like bees to honey. Click here for more info or to get involved. When wandering the nucleus of Krakow, admiring the organic architecture of our city, you are only ever a short distance from nature’s own version of buildings; trees. Mirroring the beauty of Stare Miasto and encircling the old town is the appropriately named ‘Planty’. Towering old oaks, meandering fountains, ancient forts and a watercolour splash of seasonal floral transformation. An ideal choice for a leisurely walk, a cycle, a little picnic or for listening to the music composed by the wind, the leaves and the birdlife. A little further out and you will find that Krakow’s streets are simply overflowing with zielone (that’s green in Polish). Not only is the river lined with parks & boats, grassy knolls and swans to feed but you’ll be simultaneously treated to a wealth of history as you stumble across incredible, sometimes forgotten architecture hidden within the forests and parks of the city. Ancient castle foundations, statues, memorials, art pieces, playgrounds, crosses, graves and indeed even functional palaces & monasteries. There are also plenty of local walls and boulders to scale for rock climbers, water for kayakers, paths for cyclists and benches for nappers and readers. Hot tip: Take some time to explore Las Wolski. Not only will you discover an active monastery, a beautiful forest, spectacular views of the city and an ex-nazi party mansion but at the end of your stroll you can sit and have a coffee with some actual elephants at the zoo cafe (and without paying for zoo entry). 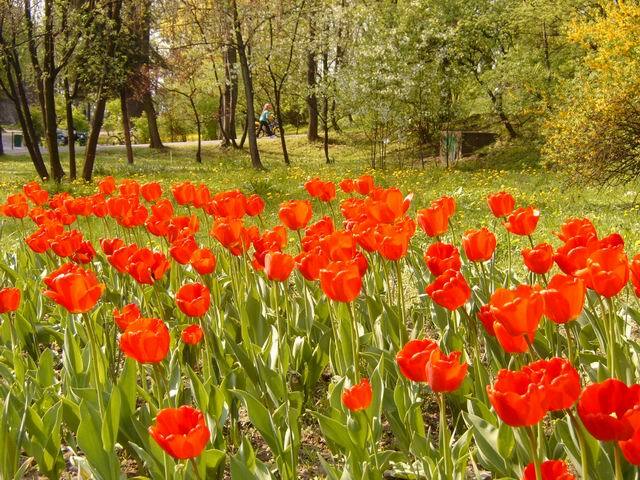 Some of the more interesting parks and forest areas that we can recommend are Park Bednarski in Podgorze, The Stanislaw Lem Garden of Experiences (physics and play, great for both kids and adults), Salwator area / Błonia / Park Jordana, The Garden of Art, Ojców, Bielańsko-Tyniecki Landscape Park, Niepołomice, and The Botanical Gardens. We would also encourage you to wonder at the mystery of the (remaining) ancient astronomically aligned mounds: Kopiec Kościuszki (Salwator), Kopiec Krakusa (Podgórze), Kopiec Piłsudski (Las Wolski Forest) & Kopiec Wandy (Nowa Huta). With so much to see within it, visitors to our fine city often overlook Krakow’s surroundings. However, when you take a chance on that ‘little bit further’ in any direction, you are bound for wonderful and unexpected surprises. Malopolska day trips, weekend trips or even quick drive-throughs are a great way to put Krakow in context and get to know it on a deeper level. Locals would definitely do good to remember this too as whenever we get the chance and the whimsy to go for an adventure, it’s certainly never regretted. Some of our favourites (very hard to choose) are: the Stone City of Skala (forest, fantasy, magic boulders), Stary Sacz (cloistered nuns, tourist free, totally charming, early music fest), Zalpie (famous painted village, unique), Ojcow (jurassic nature, rock climbing, palaces, castles) Tarnow (renaissance, Galicia, museums, castle), Lanckorona (food, churches, wooden architecture), Bochnia (Salt mine, butterflies, archeological park), Spa towns along the Dunajec River (Krynica, Szczawnica, Piwniczna-Zdroj, Muszyna etc). Okay, so we don’t have any quantum portals that you can jump through like a twisty water slide into the ocean. However, what we do have is actually a very decent amount of convenient inland lakes, rivers and reservoirs. In the hotter months, locals and birds alike absolutely flock to the waterside; to swim, to splash, to float and to lay beside it in bone-dry cozzies while working hard on their suntan. 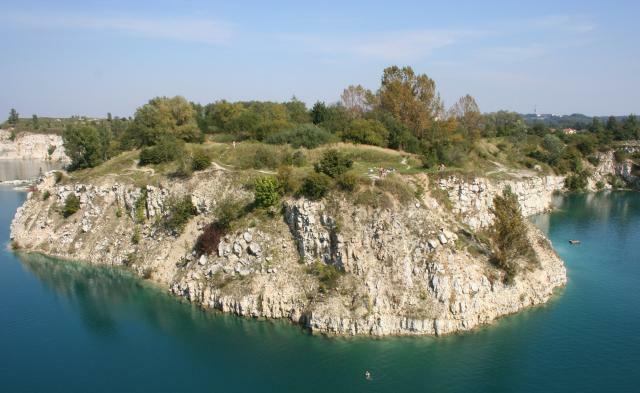 One of the most interesting ways to get wet is to visit the abandoned quarry, Zakrzówek, located within bike, tram or bus distance. During its former active years, limestone miners accidentally hit the water table and ever since it has been a naughty mecca for cliff diving, swimming, scuba diving, barbequing, Austrian bunker/cave exploring & general antics. ‘Officially’ you’re not meant to do 90% of the activities done there, but that hasn’t seemed to stop anyone. In all honesty, people do quite often have accidents here... so maybe just try to impress the girls with your shining personality rather than your double back-flip and make peace with the quarry gods. There are actually so many cool places to cool down (indoor, outdoor, natural & man-made), so why don’t you read our article about where to go swimming in Krakow to learn about the rest of them. Cracovians seem to find it impossible to sit still for very long. Whatever the season, you will find them making the most of the great outdoors. If they see a rock; they will be climbing it, a mountain; they will be scaling it, a river; they will be kayaking or rafting it, a rope; they will be slacklining it. You get the point. There are so many great ways to get your adrenaline pumping in Krakow, so we’re going to give you some insider hints on where to find the action. When it comes to rock climbing and bouldering, your options are massive both inside and surrounding the city: Zakrzówek, Ojców, Liban, even Podgórze… here’s a useful map. It’s an activity becoming extremely popular with Cracovians, and it’s no wonder with so many fantastic rock faces, valleys, monoliths and mountains nearby. Obviously, these are all also perfect places for hiking, running and mountain biking… or for picnicking while you watch someone else do it. If you love a good old-fashioned kayak as much as we do, you’re in luck as with rivers abound there is ample opportunity for a paddle. Kayaks are available for hire, even laying on the banks of the Wisla (On the Kazimierz side, beside Piłsudskiego Bridge) ready and waiting to explore the city waterways. If you wish to kayak or to raft in a more natural surrounding, never fear, for you need not travel far to find unexpectedly picturesque, organic riverscape. A top choice for us is the Dunajec River (approx 2hrs drive to Szczawnica). You will be spoilt for choice with kayak/raft rental and both beginners (hop on one of the guided traditional log rafts!) and more advanced oarsmen (there are rapids too!) will easily find sections to suit their skill level. Did we mention that this river begins in Tarnow but eventually acts as the border between Slovakia and Poland? 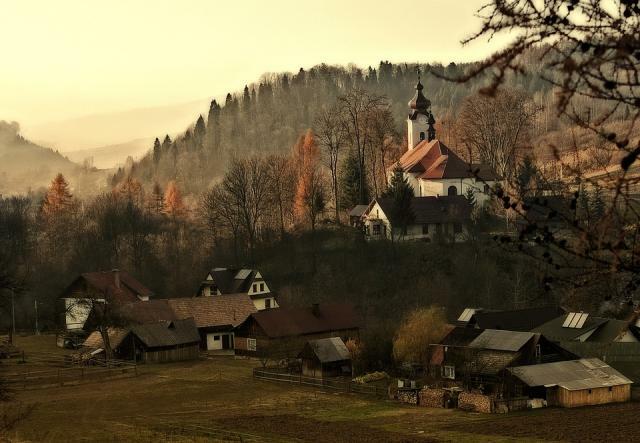 Winding through Pieniny National Park, lovely villages, meadows and castles as it forges an ancient gorge between monolithic mountain ranges formed of chalky, stark pillars and luscious forest. A serious feast for the eyes and the paddles, we definitely recommend (along with the Tatra Mountains for similar scenery and even more advanced rapids). Krakow is totally surrounded by water. Let’s just say that if Krakow were an opposing army to the rivers, it would be surrendering straight away. There are boating opportunities EVERYWHERE. Just google map the word ‘Kayak’, zoom in on any given area and you will see what we mean. After all the dancing, kayaking, cycling and exploring you’ve been doing, you definitely deserve a day of other people doing the hard work for you, just to balance it out. Krakow’s cocktail wizards and cuisine chemists love nothing more than to show off their newest creations to super chill & appreciative people like you. So bring out your book, sit back, relax and let the experts take control as you wander from sun-soaked cafe courtyard to sun-soaked riverside deckchair. Tytano (an old tobacco factory grounds turned pint-sized rival to Kazimierz) may have been developed specifically for this purpose. It’s own little world, within this sprawling complex you can easily spend your days and nights, switching from lunch to dinner to the dancefloor to the breakfast table in mere moments. It draws the most avant garde new galleries, clubs, breweries, cafes restaurants and ideas to its worn spaces like a magnet. 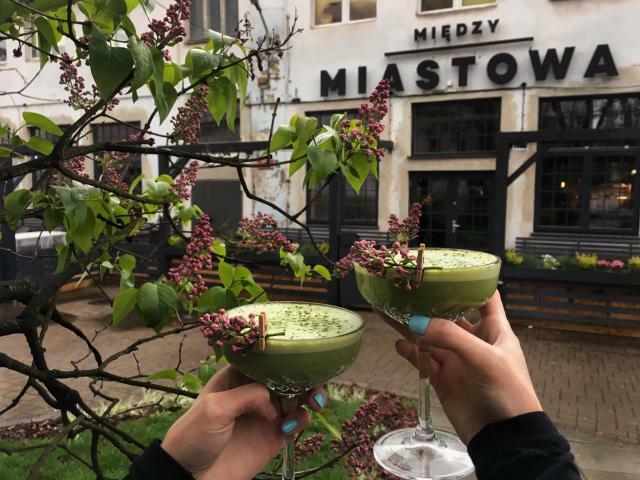 Miedzymiastowa stands out among the crowd as a serious contender for the crown of not only Tytano's but perhaps of all Krakow’s restaurants. There’s a certain undefinable panache that will take you from great to incredible and Miedzymiastowa has it in spades. We can only assume that they have sacrificed some of their employees to the gods of flavour because their creations are infused with some kind of magic. Cocktails that look like strawberry forests and taste like island dreams. The chefs clearly have supernatural mind reading abilities as they have put exactly what you didn't even know you're craving on the menu, right alongside even more ‘Sophie’s choice’ inducing options. 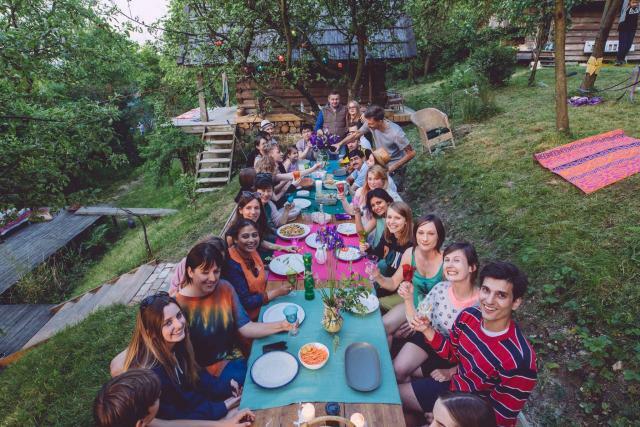 When's the last time you played croquet in a bohemian cottage farm on top of a hill, surrounded by forest, with a crazy mix of artists, visionaries, punk musicians, tecchies, expats, tourists and locals? You've actually never played croquet? Don't worry - we hadn't either... but this summer is definitely your time to start! Whenever the mood strikes, this ever-evolving crew of whoever-wants-to-play head out to the croquet cottage, just out of Krakow, and spend the entire day getting sometimes seriously competitive and getting sometimes seriously relaxed as they play vicariously from flat on their back in the sun. Whichever way you choose to play, it's an absolutely invigorating way to spend an afternoon or even an entire weekend and absolutely everyone who wants to either to try it for the first time or to show off their expert skills (and most especially have a laugh) is welcomed with open arms. Need some more motivation? 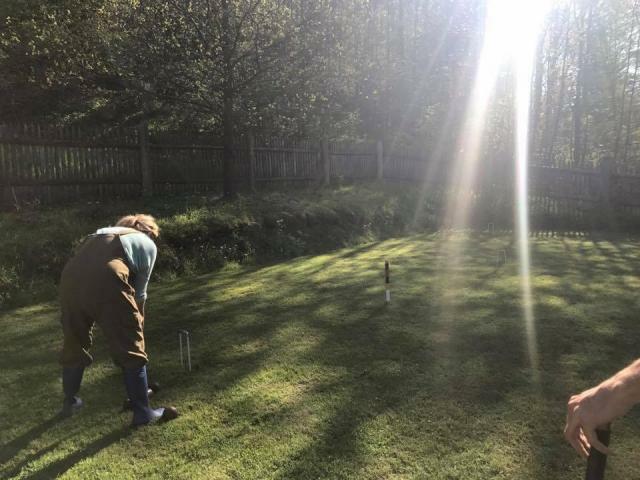 This ingenious, off-the-wall idea happens to have been devised by none other than croquet aficionados, Eataway co-creators, artists & all around superstar husband & wife - Mark & Marta. If you can't remember the #1 suggestion on our list, there's pretty much always a high chance of delicious home-cooked food when they or anyone they know is involved. Or, simply comment on this article and we can put you in touch. Cracovians are, to put it lightly, passionate peddlers. Given the state of city traffic during rush hour, it's totally understandable and actually very environmentally responsible that they have taken to their two wheeled steeds so avidly. There is much more motivation than this though, behind the local's love for leg pumping and its subsequent development of the city. For one, as we have previously mentioned, living in a city so immersed in beautiful nature, the forests are forever singing their siren song, calling us to be outside and among the trees. For two, its super accessible and a fantastic way to explore all the secret corners of both the city and the country side, inaccessible to larger traffic. 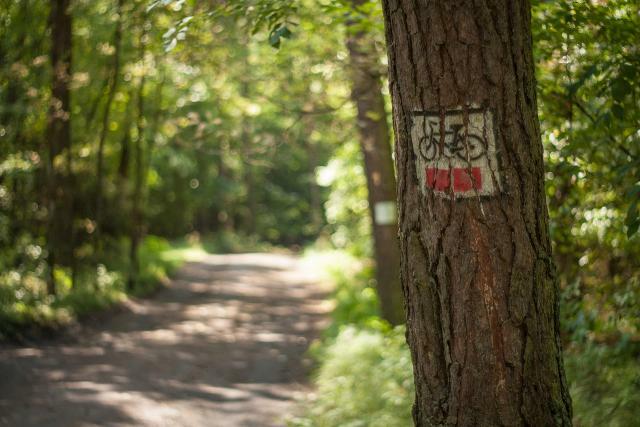 Malopolska has recent expanded its already extensive web of cycling paths to include fascinating historical routes which take you on an unforgettable journey throughout the centuries and across the cultural palette. These routes can take anything from an hour, to a week, to the rest of your life and can take you on a trip through the city backstreets, along ancient amber trading trails and across country borders. Krakow's Wavelo city bicycles are a new bike share system recently popping up on just about every corner of the city. Rentable by the minute, the day or the month, you can pick one up from your nearest hub and simply drop it off at the hub closest to your destination. Quick, convenient and flexible. Cruising Krakow are one of several companies who not only rent bicycles in the traditional manner but also offer guided two wheeled tours of the city. Learn as you burn. It really doesn’t matter what religion you are, the atmosphere of this place will translate to heavenly. From the huge array of monastery made ‘drunk monk’ alcohols to the monk grown ingredients of the monk baked organic cakes, cheeses, breads and icecreams. Between prayers, the cocoa-robed residents of Tyniec spend their time in the garden growing everything from wheat and fruits to medicinal herbs, from which they have created their own range of divine products to be sold in their on site shop, eaten in their cafe and some of it, such as their shampoo (love it) can even be found in Carrefour! Thanks to their incredibly wholesome creations, Tyniec is a seamlessly healing location to spend some time - but hold your horses, we have not yet described to you just exactly how truly majestic the aesthetics are (and we aren’t talking about the monks!). 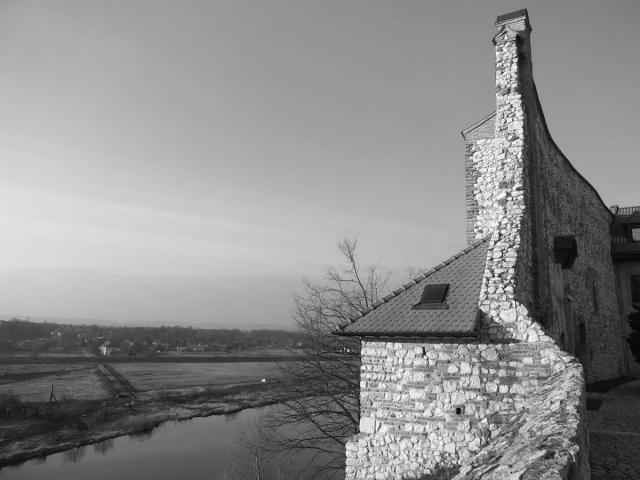 Tyniec Monastery is a thousand years old. It absolutely emanates ancient calming energy from it’s great worn stones. Masterfully constructed by some clearly tuned in folk, this gorgeous abbey sits perched upon the ledge of a limestone cliff, with a lazy river for a moat, its gaze spread far and wide across field, farm, and forest. The best way to enjoy Tyniec is to cycle there along the Wisla side path (approx. 1hr), enjoying the ducks, the reeds and the unexpectedly nearby chill village life. Spend some time exploring backroads and admiring the quaint idealistic beauty of the uniquely Polish neglected log sheds, overflowing with hay. Arrive slowly to the Monastery, taking in the fantastic construction and letting the cool aura of the wide leaved trees and the ancient presence seep into your soul. Keep that chilled pace up while you weave your way around the monastery grounds, learning it’s history, contemplating its art and immersing yourself in the vibes. Next comes the most important part - take a seat on the terrace, beside the ancient stone wall and order yourself a glass of mead and their eggnog apple pie while drowning in one of the most spectacular sunsets you have ever had the pleasure to swim in. By now you should be as high as Bob Marley and as peaceful as the coolest monks you’ll ever meet.